NORTH EASTON, Mass. 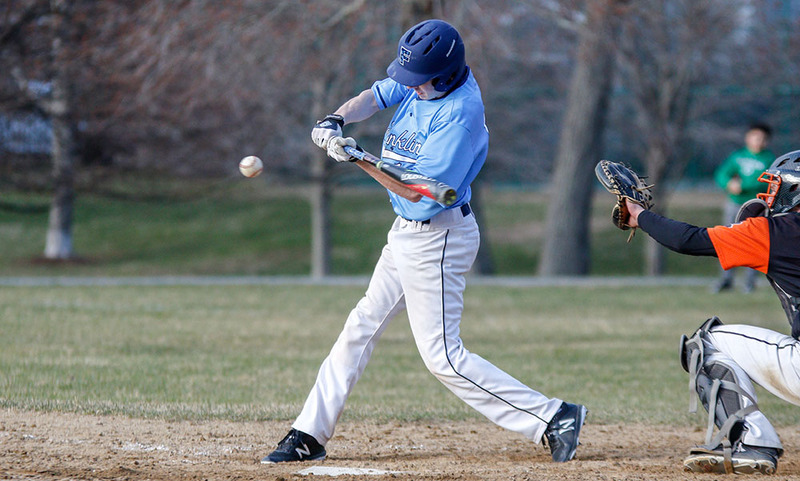 – Franklin senior Steven Luttazi hadn’t had his best performance at the plate, held without a hit through the first seven innings. But his day changed with one swing of the bat. Franklin was three outs from earning a win in regulation, but Oliver Ames rallied to tie the game in the bottom of the seventh. But instead of wilting, the Panthers responded — all with two outs. Senior Colby Fitzgibbons drew a two-out walk from the nine hole, and after stealing second, junior Alex Haba took first after another walk. In stepped Luttazi, who laced a 1-0 pitch into center field to bring pinch runner Shane O’Neil home. Macchi then launched the first pitch he saw into deep left center field resulting in a two-run double and a three-run lead. Sophomore Will Pacheco, who escaped a jam in the bottom of the seventh, retired the side in order in the bottom of the eighth to earn his first varsity win. Franklin built a 2-0 lead by scoring solo runs in the top of the second and the third, but Oliver Ames clawed back with a run in the fifth and the tying run in the seventh. OA senior Matt Muir reached with a one-out single, stole second, and came around to score on a double from classmate Nick Zwerle to tie the game. OA had runners on first and second with one out, but Pacheco got a big strikeout, and Scott Elliott made a nice catch in foul territory in left field to send the game into extras. Elliott had a hand in both of Franklin’s first two runs. In the top of the second, the junior led off with a single and took second on a fielding error. He took third on a groundout from Jake Noviello and then scored on a bases loaded infield single from Haba to make it 1-0. Macchi singled to lead off the top of the third and advanced to second base on a balk. Elliott delivered with an RBI double to bring Macchi home for a 2-0 lead. Oliver Ames cut the deficit in half in the bottom of the fifth inning. Muir drilled a triple into center field, through the branches of the tree at Frothingham. Muir came home to score on a groundout from Zwerle. 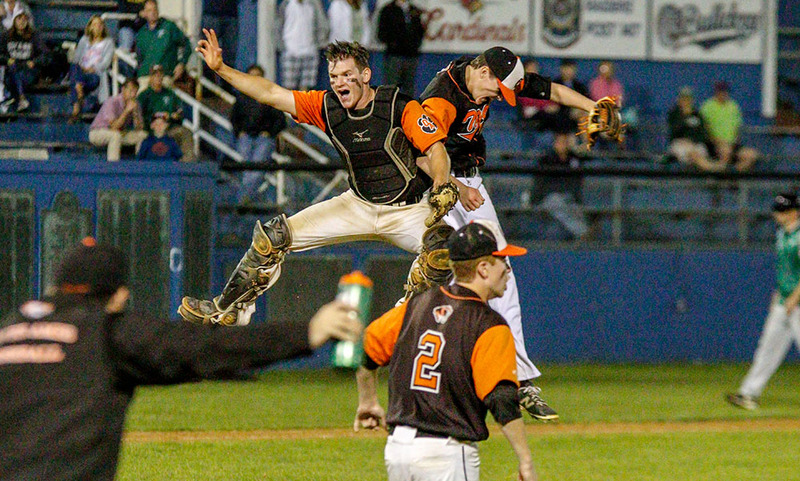 As a team, Oliver Ames posted just five hits. Franklin senior Bryan Woelfel got into a nice rhythm over his 6.1 innings of work, allowing five hits while striking out seven. 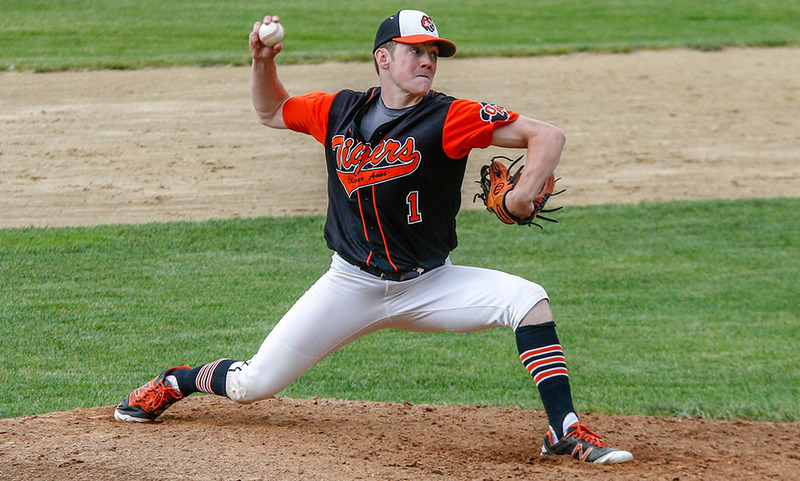 Oliver Ames senior Michael Mulrean had a strong outing in relief for the Tigers, striking out four in four shutout innings of work with just four hits. Oliver Ames (0-2, 0-2) looks to bounce back on the same day when it hits the road to play at New Bedford.